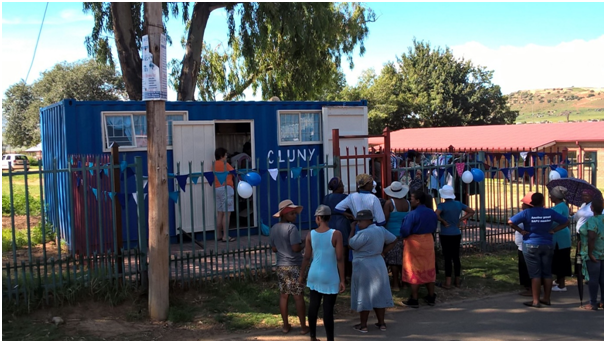 As a result of fundraising efforts from our 2016 Sunset Serenade in Clarens we were able to establish the Cluny Thrift Shop in Tshepong in Clarens. Twice a month our awesome group of local Volunteers open the shop for business which is located directly opposite the Clarens Combined Primary School at 388 Larola Street in Clarens. The shop is extremely successful, and we have been very blessed with a constant stream of donations which are always very welcomed by our shoppers. All proceeds from sales at the Thrift Shop go directly to the Cluny Animal Trust. Although the shop isn’t open every day, our donation door is always open! 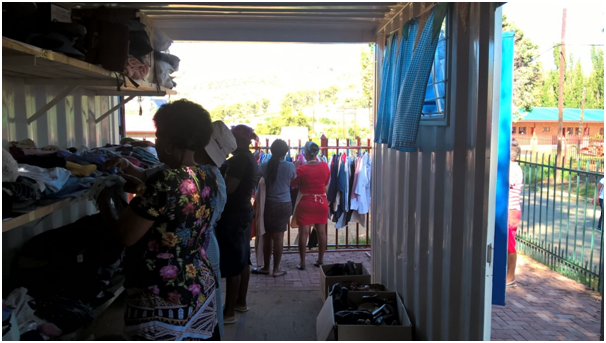 We welcome any clean and ‘gently used’ items of clothing, shoes (preferably flat ones and takkies etc), underwear, socks, (for adults but particularly for children), kitchen items especially cutlery, crockery, glasses, pots and pans, linen, duvets, blankets, pillows and towels also sell very well and are highly sort after. Items that are broken, chipped, cracked, damaged, dirty, smelly, scratched, worn-out, stained, torn, wet, mouldy, rusty, frayed, disassembled, bug-infested or incomplete DO NOT SELL! We are then forced to haul items like these to the dump, which is a costly and wasteful exercise and these items take away from the funds raised. Local Donations – in and around the Clarens area we are happy to collect if need be but ideally if you could bring your donations to us that is first prize! 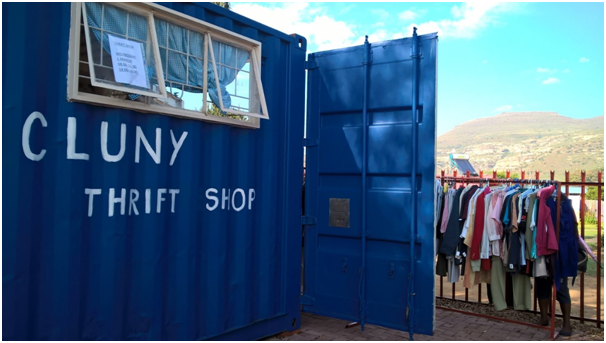 JHB-Based Donations – if you would like to make a donation to the Cluny Thrift Shop but you are based in the JHB or surrounding areas, please contact Imogen Tarita – imogen@clunyanimaltrust.co.za to arrange for delivery and she will ensure that it gets to us in Clarens. With the kids in school or leaving the nest, why not volunteer at the Cluny Thrift Shop, we could always use more help to pick up donations, price merchandise or work a sales shift?